The GMAW process is a commonly used arc welding process. As all other processes, it has its advantages and limitations. The gas metal arc welding process, most commonly known as MIG, is one of the most used joining processes in the world today. The process had its beginnings over 60 years ago, but it is still being improved every day. 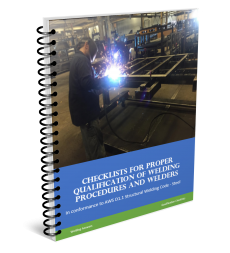 Leading manufacturers in the welding industry spend millions of dollars in research and development to enhance this process. As with many other industries, advancements in manufacturing techniques, reduction of costs, and improved efficiencies have made high-end technology available for the hobby or beginning welder. First of all a few definitions. The Gas Metal Arc Process is commonly referred to as MIG. MIG stands for Metal Inert Gas. Argon is the gas typically used for this process and it is a non-reactive gas, thus inert gas. However, carbon dioxide is also used either pure or mixed with argon. Carbon dioxide is a reactive gas so the term MAG (Metal Active Gas) should be used when talking about welding with 100% carbon dioxide shielding gas. For simplicity we will refer to GMAW process as MIG. GMAW, in simple terms, is the joining of two metals by the use of an electric arc and continuously fed filler material. The equipment necessary for this process consists of a constant voltage power source, a wire feeder, a welding gun assembly, a power cable and control cable that run from the power source to the feeder, and ground cable and clamp (properly called work cable assembly). Unlimited thickness – this process allows for welding light gage material and up to unlimited thickness by using multiple passes. 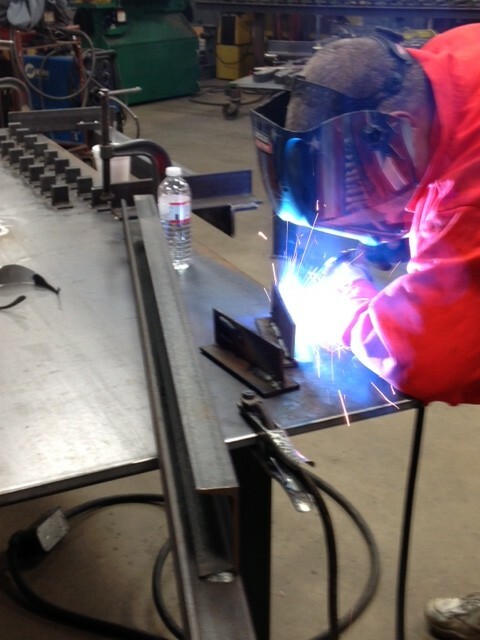 Higher amperages and proper joint configuration are needed to weld. 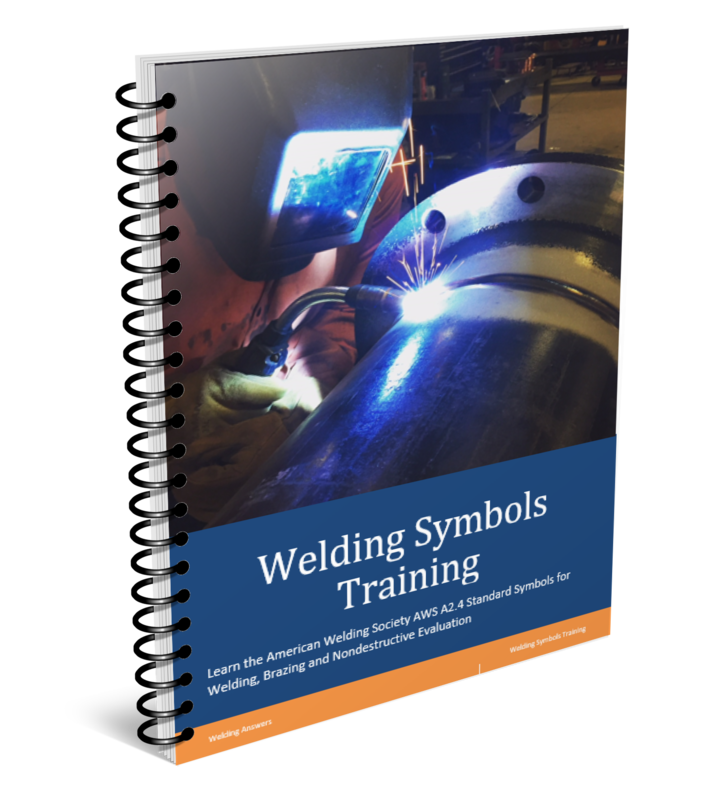 Easy to learn – unlike tig welding or stick welding, mig welding is easy to learn. Little clean up – since mig welding is a slagless process it does not require chipping slag, cleaning up flux or discarding unused stick stubs. High electrode efficiencies – the GMAW process provides efficiencies of 93-97%. This means that if you buy 100 pounds of mig wire you will be deposition 93 to 97 pounds of weld metal. A process like SMAW (stick welding) has electrode efficiencies of around 65%. This is due to loss due to spatter, slag, and not consuming the entire electrode. Input voltages – If you have electric service you can weld. Smaller machines can run on 115 volt input. 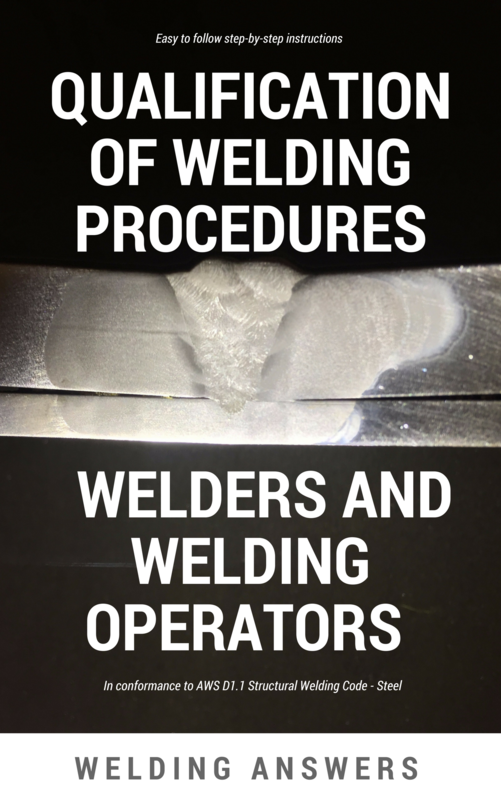 These machines are limited to about ¼” welding thickness. Some of the newer industrial machines are capable or running anywhere from 208 to 575 input voltage on either single or three-phase circuits. Most mig welding machines can also run off of portable generators. Despite all these advantages the GMAW process also has some limitations. I do a lot of mig welding but all indoors. What is the best option for welding outdoors? Stick electrode and self-shielded flux-cored wires are the best option. These consumables can withstand heavy winds and not be affected. If all you have a is MIG wire and you need to weld outside try to block the wind. Setting up screens is an options. Sometimes you will just have to use your body as a shield. Cranking up the gas flow to about 60-65 cfh will also help.